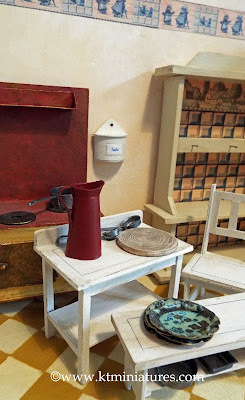 KT Miniatures has been a little quiet of late, mainly by two rather lovely little distractions...ie. my baby grandsons. My now 6 month old grandson and his parents visited recently, and we spent a wonderful Sunday morning traipsing around a local farm in the mud (Moreton Barn - just outside of Thame) which opened its doors to the public to help raise money for the Thames Valley Air Ambulance. It was fabulous for kids and their parents (and Grandmas)! 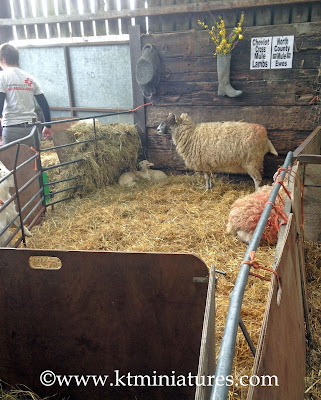 The newborn lambs and mums, plus an array of farm animals were gorgeous. What was particularly nice was that children were allowed to stroke and hold some of them. 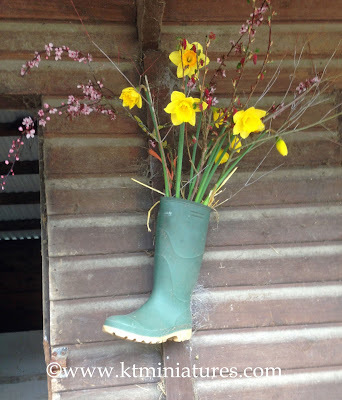 What a super idea for an old redundant wellie boot!! 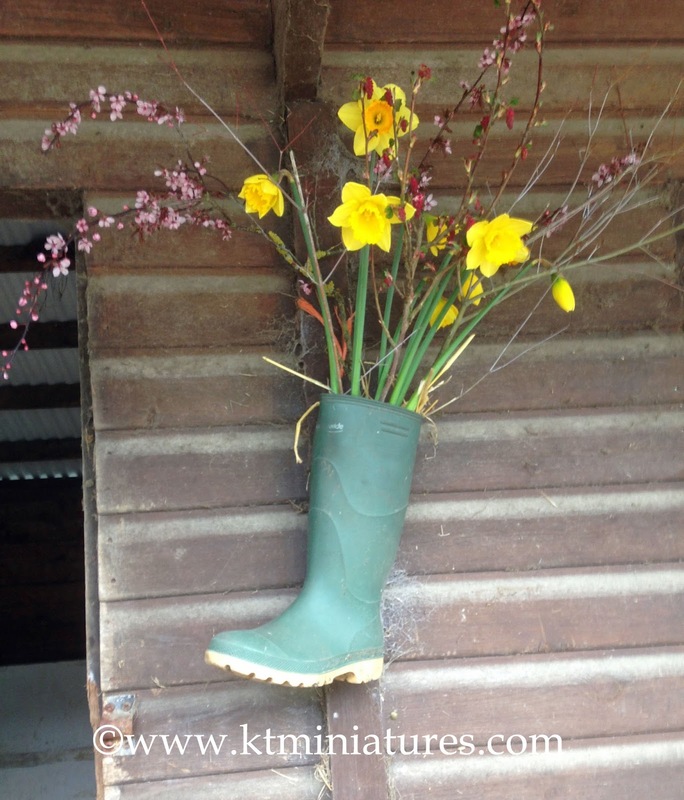 And now the 11 month old grandson and his parents have moved in with me for a few weeks, so life has certainly livened up! They have sold their previous abode and are currently waiting to move into a nearby house,whilst major plumbing and building work is going on. So we are all shoehorned into my little house and there is heaps of additional "stuff" everywhere! But great fun and I am loving every minute. 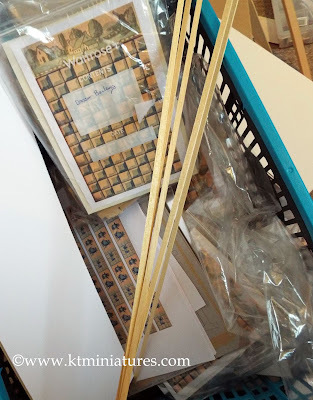 Meanwhile last minute preparations are in full swing for my first workshop of the year which is taking place next Saturday, and I am looking forward to it very much. The Early 1900s German Style Kitchen Workshop.